Cash for your used cell phone is a simple as 1,2,3. Print shipping label to send your cell phones, box and send your cell phones, then get cash for your phones. Getting cash for used cell phones hidden in some drawer in your house is an idea that's definitely worth considering. Why? How often do you get paid for something that no longer has any value or use to you? Selling those used cell phones can turn those assets into instant cash while it allows you to empty your house of a few pieces of used and unwanted electronic devices. Pacebutler Corporation, the country's premier buyer of used cell phones, will pay as much as $300, depending on the phone's brand, model, and quality for each mobile phone unit that you ship to us. If you want to earn some extra cash for those old phones that have been in your drawer for like forever, and wondering how it's done...read on, nothing can be simpler and easier. As far as we're concerned, nothing can be more important than our customers and your convenience. Period. It is in line with this core belief, that we have created a simple and convenient system that anyone wanting to earn cash for used cell phones, can go through and finish in a few short minutes. Here are the basic steps: find out the actual value of your old phones by reading or downloading our Purchase Price List, choose which company handles the shipping for you (FedEx or the US Postal Service), print out the mailing label, and ship the phones to us - for free. That's it, all you need to do now would be to wait for your check in the mail - we're usually able to issue a check within 2 business days after we received the phones. That tens of thousands of people from all across the US repeatedly transact business with us every time they upgrade their mobile devices - and want cash for used cell phones - is testimony to how simple, transparent, and convenient this system is. There's no room for guess work here, you will already know how much your phones are worth before you ship them. And, because we use the US Postal Service, you can conveniently leave your used phone package for your mailman to pickup and ship the next day. We believe in giving you a fair value for your used cellular phone but that doesn't mean that you have to wait for weeks, while we take our time trying to figure out your phones' actual price. The average turn-around time for the transactions that we process is one of the fastest in the industry. Tired of the electronic clutter in your drawer? Changing your mobile device for a newer, more sophisticated model? Get cash for used cell phones - it's easy, it's fast, it's convenient - get started with Pacebutler, today. PaceButler started its mark in the phone recycling business exactly 32 years back. Over all these valuable years, we have delivered a genuine method for recycling used cell phones to consumers and ours is the easiest and most convenient way to turn your old cell phones into cash. In fact, it is one of our prime objectives to allow our customers to get a good price out of their used cell phones so that we are able to put them to good use for our environment. PaceButler can assure you with our guarantee that you would be getting a proper value out of your old cell phones. We deliver a proven method for recycling old cell phones to thousands of consumers as well as non-profit groups in the United States. PaceButler is the easiest and fastest way to turn your old cell phones into cash. We assure you that we send you a prompt check usually within a couple of days of receiving your old cell phones. PaceButler pays you the market value of your old cell phone in cash for the clunker you simply wonï¿½t use otherwise. 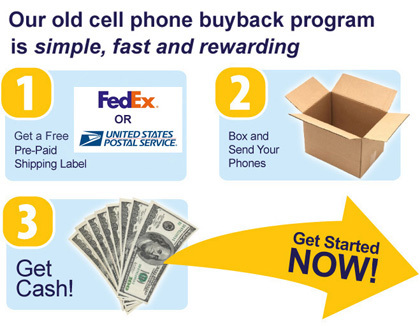 What more can you ask forï¿½we pay for your shipping tooï¿½Maximize your old cell phoneï¿½s value and get cash for your old cell phones today! "Thank you for your check to the YWCA of Greater Portland. Your contribution helps us create opportunities for more than 34,000 women, children, families, and seniors to be safe from homelessness and violence and to live independently. " "Your recent donation enables us to offer many programs for the men, women, and children who have become victims of domestic violence and/or sexual assault." Cash in Used Cell Phones Today.